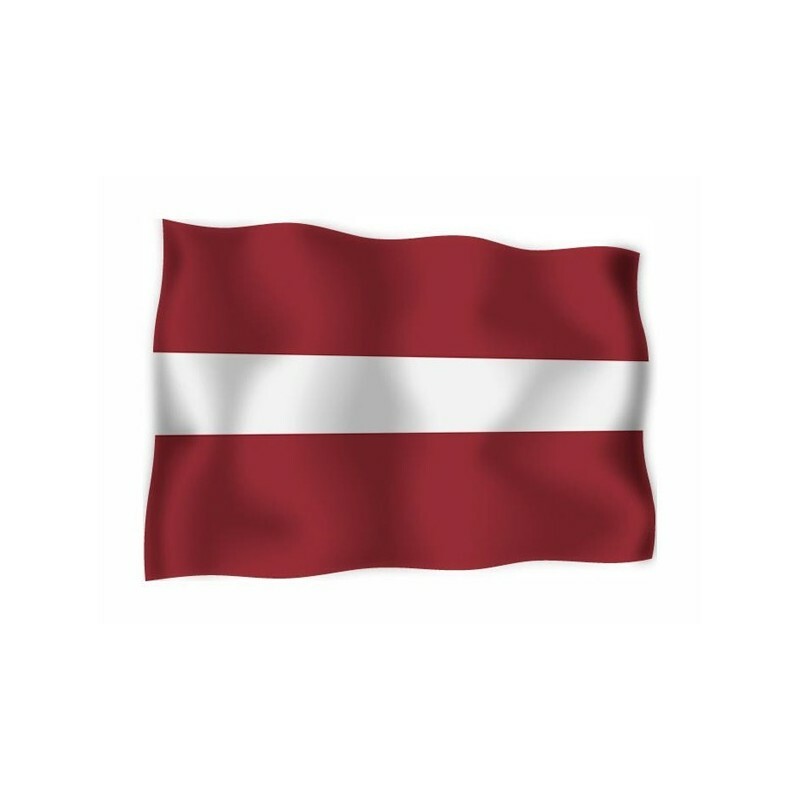 Latvia's flag of nautical woven. 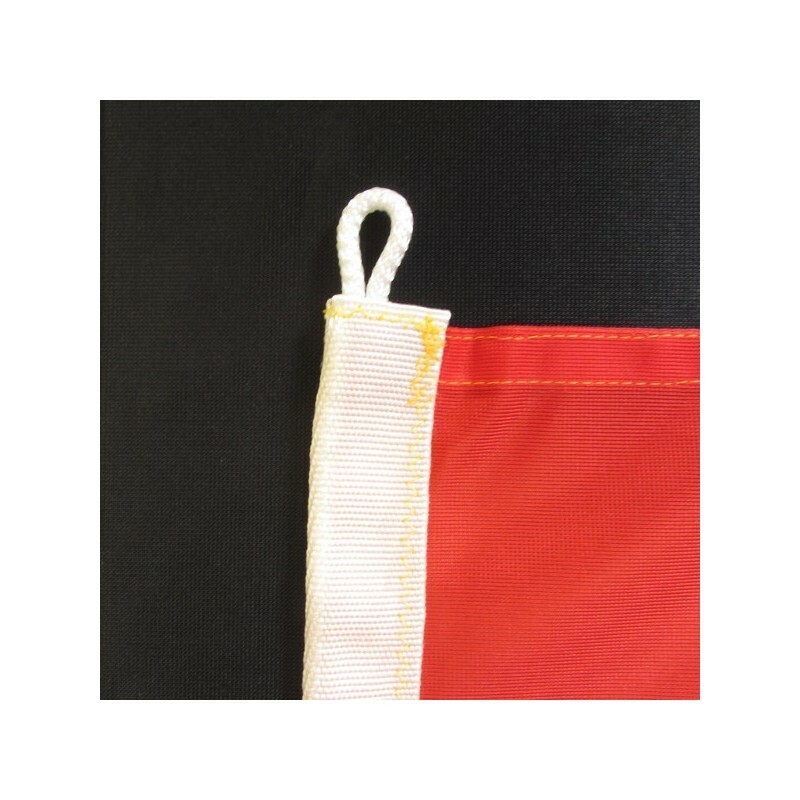 Flag of Latvia, of nautical polyester, for external use only, with digital print. Since the 27 of February 1990 the National and civil flag of Latvia consists of two horizontal deep red stripes, which are divided from a horizontal half-width white stripe. The red represents the blood which was poured from a wounded head and the will of the citizens to defend the freedom. 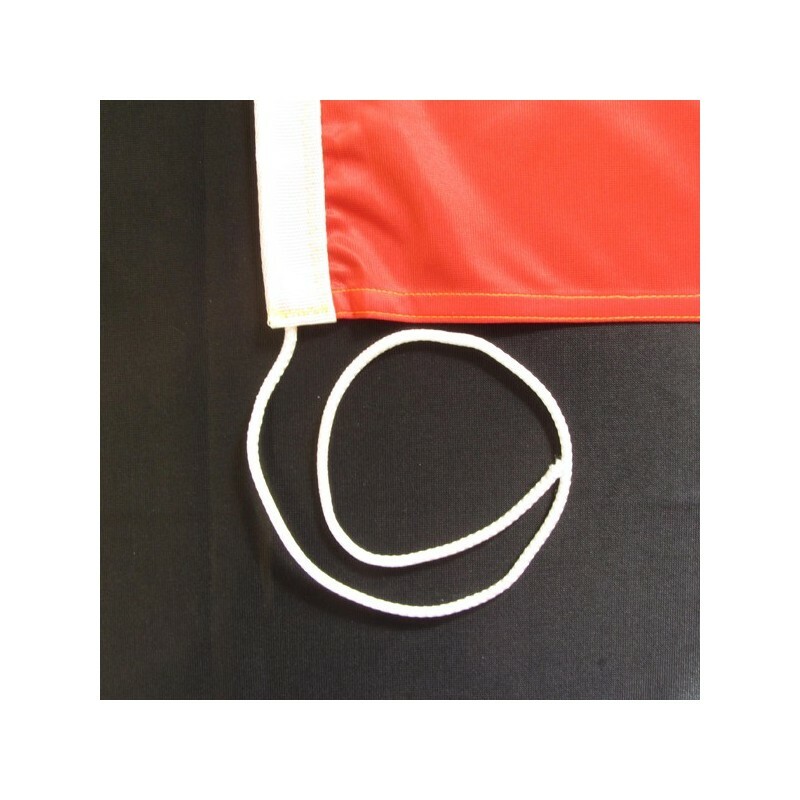 The white probably symbolizes the sheet which is used to invelo the wounded head. 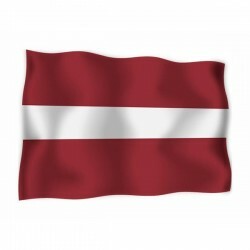 In 1991 Latvia achieved the independence from the Soviet Union.